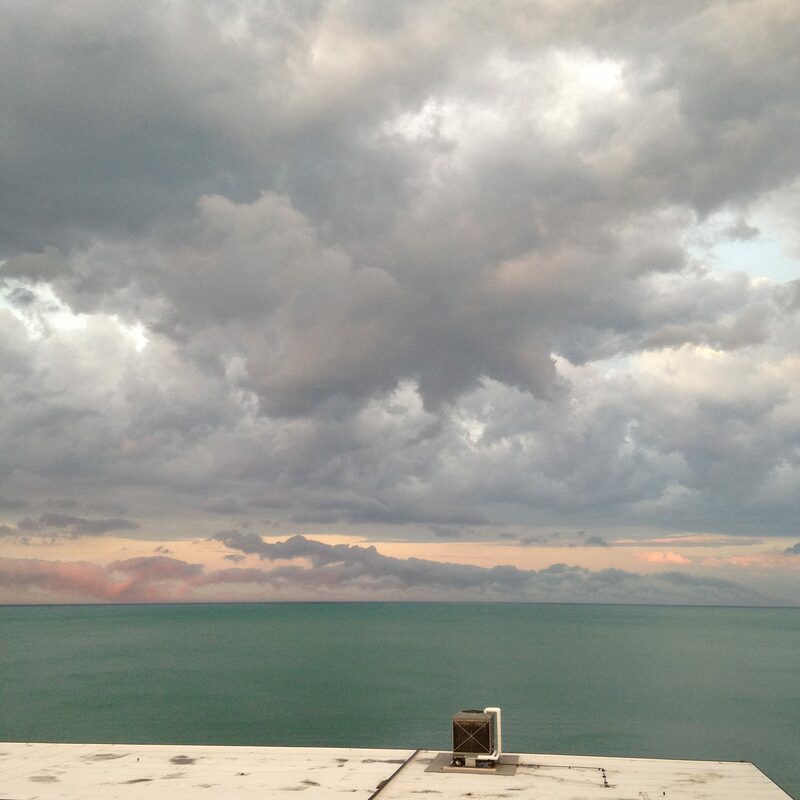 In Dr. Lisa Barense’s condo on Sheridan Road, her paintings of the sky over Lake Michigan, reminiscent of sky- and seascapes by Turner or Constable, are based on what she sees out her east-facing windows. She painted these pictures some years ago. In 2015, Barense launched an Instagram account and started shooting photos out those same windows. 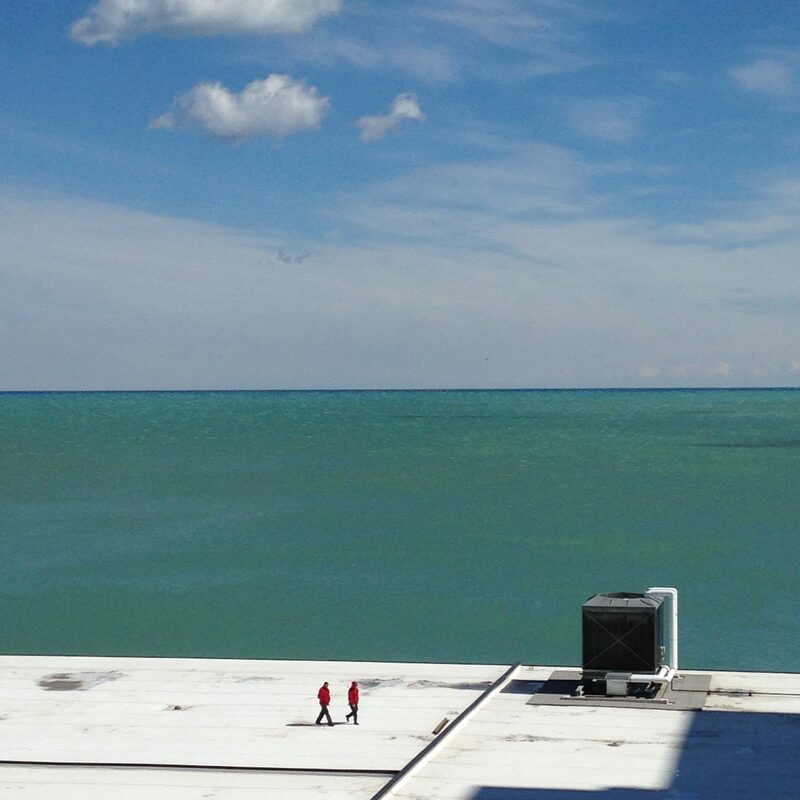 “I fell in love with the lake again,” she tells us, but this time, she focused on one thing: a condenser across the street on a roof at Loyola University. This solitary component of the building’s HVAC system, standing guard over a changing pattern of light and color, reminded us of Monet’s Rouen cathedral or Warhol’s video of the Empire State Building… except we’re talking about a condenser here. Part of what brought Barense out of anonymity was the strange court case of Scottish artist Peter Doig that took place in Chicago last summer. Barense started reporting the court proceedings on her Instagram feed. Artists and art lovers in Chicago and beyond took note. In 2007, Doig’s “White Canoe” sold at Sotheby’s for $11.3 million, a record for a living European artist. In the Chicago trial, which Barense dutifully attended, a plaintiff who had worked as a Canadian corrections officer claimed he procured an early painting of Doig’s in 1976, when he said the artist was incarcerated. But Doig was never incarcerated in Canada, and he denied it was his painting. When the plaintiffs attempted to sell the painting, the artist advised the auction house they could not sell it as one of his. The plaintiffs sued Doig in federal court for infringement of trade. The actual artist of the work was likely Peter Doige, a Canadian incarcerated in 1976. Doige died in 2012. “After five years of legal wrangling,” says Barense, “and a lengthy, costly trial, the court ruled in Doig’s favor.” The trial ended this past August 23, with the court concluding that Doig was not Doige and that, in fact, the Scottish painter did not paint the picture in question. 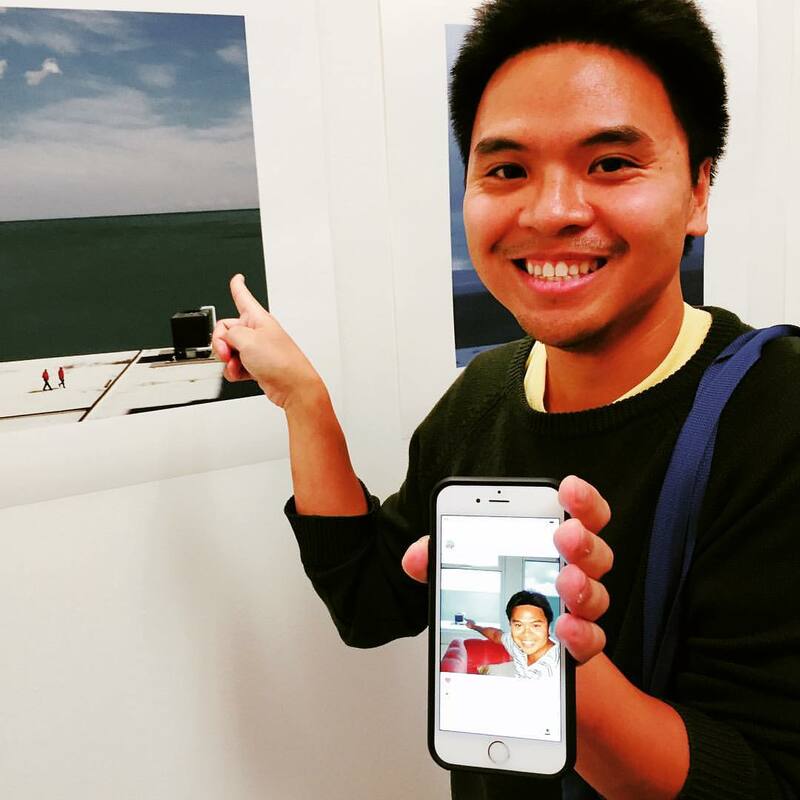 Barense’s photos have been printed by Aron Gent of Document and can be viewed through November at Lawrence & Clark, 4755 North Clark, Saturdays 1-5pm and by appointment.